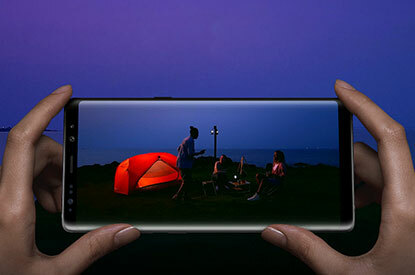 Prepare your eyes for an ultimate viewing experience with the Samsung Galaxy Note 8. 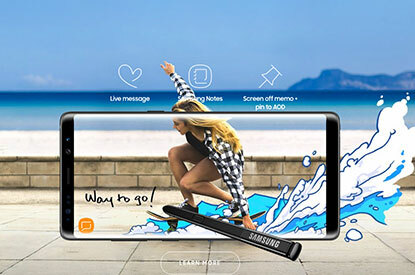 Launching Samsung’s largest smartphone screen to date, the Note 8 features an incredible 6.3 inch Super AMOLED display whilst introducing a host of other great features, such as 12MP Dual camera, rapid battery charge and VR capabilities. Read the rest. £1240 total cost over 2 years What's This? £947 total cost over 2 years What's This? £998 total cost over 2 years What's This? £1026 total cost over 2 years What's This? £1050 total cost over 2 years What's This? £1057 total cost over 2 years What's This? After the failed release of the Galaxy Note 7, there was a lot of eyes on Samsung and its next phablet. Thankfully, everything went to plan this time around. 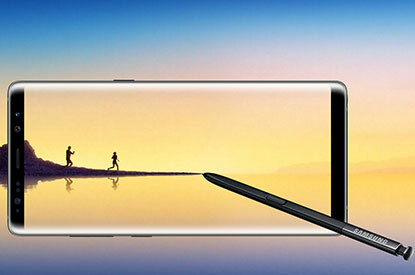 The Samsung Galaxy Note 8 is the best big phone we’ve used, offering a huge 6.3-inch quad-HD+ display and the handy S-Pen for doodling and notes. It offers everything we expect from a flagship phone, like an excellent camera and speedy performance, plus extras like microSD expansion and wireless charging. It looks the business too, thanks to a glass back and very thin bezel running around the display. It’s straighter and less rounded than the Galaxy S8, but you do still benefit from the curved screen. We do wish the battery life was as good as previous Note devices, plus the fingerprint scanner is tiny and hard to accurately hit, but they’re minor quibbles. Embrace your creative side with the Note 8’s stylus. The S-Pen is at the top of its class, allowing you to treat your phone just like paper to draw or write to your heart’s content. 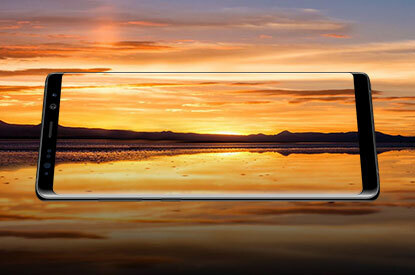 With a compact slot to store your stylus, the phone maintains its seamless look and feel. Over 4096 levels of pressure sensitivity have been added to the latest S-Pen, making it incredibly smooth to use. Note taking has never been so easy and accurate. Samsung are renowned for their incredible screens, and the Note 8 is no exception. With 6.3 inches of Super AMOLED capacitive touchscreen, and 1440 x 2960 HDR display, you will be able to watch all your latest movies in outstanding vivid quality. Screen protection is key. Samsung have chosen Gorilla Glass 5, which boasts bold claims of surviving 80% of shoulder high drops, to really protect the front and back of your investment. The phone still maintains optical clarity whilst providing much better damage resistance. Boasting a 12 MP camera, with phase detection autofocus, you can really unleash your inner photographer. The Note 8 features a 2x optical zoom & dual LED flash, to take stunning photos at any range, as well as geo-tagging software to help group all your photos geographically. Face/Smile detection, panorama, touch focus and image recording comes as standard, as well as being able to video in amazing 4K. On the front the Note 8 features an 8 MP camera with Auto HDR technology to capture the perfect selfie against high contrasting backgrounds. Dual Video call is also enabled, so expect to make and receive high quality video calls with friends and family. Never leave your wallet or purse behind again. Samsung Pay gives you a simple and secure way to make small contactless payments all on one device and this can be downloaded for free from the App Store. You can also upload loyalty cards to Samsung Pay, to make sure you are getting the points you earn. Turn your phone into a transport card to make your morning commute even easier. Stay secure, by using the fingerprint, iris scanner or PIN, to load up the app. Samsung Pay is supported by several major banks and building societies and is accepted in almost everywhere that contactless payments are. The Note 8 is packed full of the latest smartphone features, which all help to increase user experience and safety. The Fingerprint scanner has been moved to the back, and iris scanning technology helps provide a quick and secure way to access your phone. The Note8 is extremely powerful, with 6 GB of RAM to drive performance. Arriving with 64GB of storage. IP68 Certified, this phone is dust and waterproof for up 30 minutes and a depth of 1.5 meters for those that like to roam outdoors with their device. Calls also have active noise cancellation with a dedicated microphone to help with calls in noisy areas. 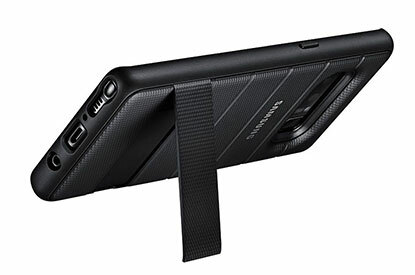 Samsung's flagship phablet has arrived. We take a detailed look at what the Samsung Galaxy Note 8 has to offer. The highly anticipated Bixby, an intelligent digital assistant set to take Samsung users by storm, has now arrived. Unbox your tickets - claim two event tickets worth up to £140* when you buy the Samsung Galaxy S8, S8+ or Note8. Buy the Samsung Galaxy S8, Samsung Galaxy S8+ or Note8 now and get two tickets worth up to £140 to a variety of top concerts and festivals between 1st April 2018 and 31st December 2018 – including British Summer Time, Forbidden Fruit Festival and Rock En Seine plus more. Once you’ve bought and set up your phone, go to the Samsung Members App preinstalled and tap the “Unbox your tickets” promo banner. Key-in your details on the online form (including your IMEI number and proof of receipt) and press submit. You have until 11:59pm February 25th 2018 to submit your claim. You’ll receive a confirmation email and text from Samsung which will contain your unique order code and instructions on how to claim your tickets. Don’t worry if it doesn’t arrive immediately, as it can take up to 48 hours. Once you’ve received your confirmation email and unique order code, follow the instructions on how to get your tickets for the event you want to go to. Once you’ve decided which event you want to attend, all you need to do is key-in your unique user code on the portal, enter some personal details, and your order will be confirmed. Just remember to reserve your tickets by March 4th 2018. After this date the Unique Ticket Code will expire automatically, and no further codes will be provided. Your tickets will be emailed or sent to you by post a few weeks before the event. Enjoy! Stunning phone. Slick, stylish with a screen second to none. The S-Pen is awesome too. I can't fault it one bit. I bought an LED case for it too which is great. Upgrade from Note 3. Big step forward as you would expect. Great finish and very smooth. Android 7 has lots of improvements and the new touchwiz is easy to use. Slick &amp; super camera .Hd screen.Fab!